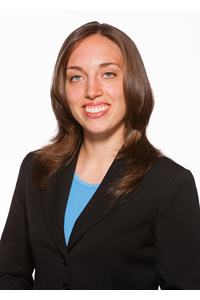 Romina Boccia is the Grover M. Hermann Fellow in Federal Budgetary Affairs at the Heritage Foundation. An advocate for fiscal reform in the United States as well as a native of Germany, Romina makes an intriguing spokeswoman against the culture of entitlement in the United States. Later in Gymnasium (German college-preparatory school), Romina wrote her thesis on the Cuban Revolution. Through studying the philosophy and history of socialism in Cuba, Romina grew more skeptical of socialism’s means and ends. Before attending University, Romina moved to Washington, D.C. as an au pair and began attending events at the World Bank, International Monetary Fund and the Cato Institute where she learned more about development theory. Romina decided to enroll in George Mason University to study economics. During her first semester at GMU, Romina attended a conference hosted by the Foundation for Economic Education where she received a copy of Bastiat’s The Law. Romina credits this conference as her introduction to the liberty movement, which has provided further opportunities to learn about economic freedom such as the Koch Internship and Associate Programs and seminars at the Institute for Humane Studies. When asked what advice she has for young professionals, Romina encourages entrepreneurship: “Don’t wait for someone to tell you what to do and how to do it. Continuously improve your abilities through learning and practice.” Liberty Toastmasters, an organization that provides public speaking practice and which Romina is a founding member , is a great example of this initiative. “Become known as the person who gets stuff done” Romina adds. Jordan Pic is a former intern at America’s Future Foundation.